Vincent Palazzolo was named Ferndale’s chief of police in September of 2018 following a two-year tenure as the department's Captain. A 23-year veteran of the force, Palazzolo is a 2017 graduate of the FBI National Academy, which selects law enforcement professionals with exemplary leadership qualities to improve and raise law enforcement standards in police departments and agencies worldwide. Before joining the Ferndale Department in 1995, Palazzolo served briefly as an Officer for Huron Township after graduating from the police academy. He served 11 years total in the US military and deployed to Iraq with the Michigan Army National Guard as an Airborne Infantry soldier. 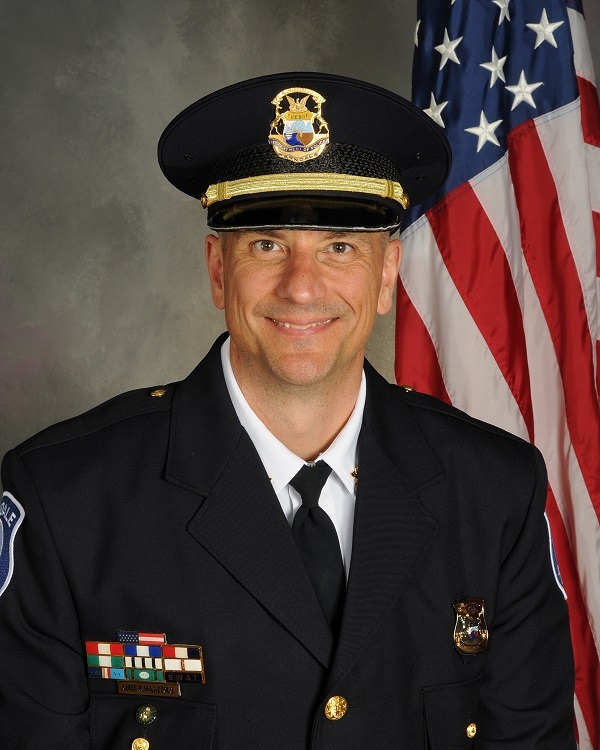 Palazzolo served on the Oakland County Crime Suppression Task Force, as Team Commander of Southeast Oakland SWAT, and as Team Commander of the Oakland County Mobile Field Force. He has risen through the ranks at Ferndale PD as a Patrol Officer, Sergeant, Lieutenant, and Captain. He is a member of the Michigan Association Chiefs of Police, the International Association Chiefs of Police and Veteran of Foreign Wars. He is a strong advocate for veterans, is involved with reintegration programs through physical fitness and veteran suicide prevention. Palazzolo spearheaded the department's community engagement focus—including the addition of a community engagement officer position—two years ago. He adheres to the six pillars of community policing set forth by the President’s task force on 21st Century Policing. His vision for a modern police department is performance with the highest integrity, ensuring that officers and staff operate efficiently and make smart decisions, safely, ethically, and morally. How do I register for an alarm permit? The Ferndale Police Department does not require an alarm permit. How do I request a traffic control change? Complete and submit the Traffic Change Request Form. Where can I access a witness statement? Access the Ferndale Police Department Witness Statement.